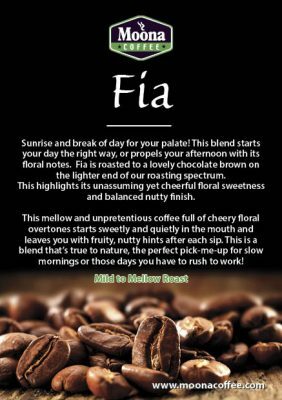 Moona Coffee UK, the premier one-stop-shop for premium, artisan hand-roasted coffee blends, prides itself on introducing DOLCE, a top-notch decaf medium roast blend. This blend is a surprising culmination of the finest coffee beans from parts of El Salvador, Guatemala and Ethiopia sprawling highlands. 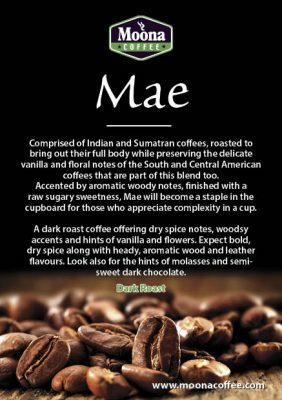 It is a perfectly creamy and flavourful blend that is ideal for the lovers of medium roast decaf coffee. Whether you are looking to entertain your taste buds with something unique or want a light pick-me-up in the afternoon or mornings, DOLCE is dead right on the spot. Dolce is true to nature – a blend that is smooth to a fault with complex fine citrus undertones that’ll certainly tickle your taste buds. If you have a tooth for good coffee, you will enjoy the burst of fruitiness and pleasant sweetness that is absent in other decaffeinated coffee blends. Thanks to the fruity and nutty rush from Guatemala and El Salvador beans, you will enjoy a cup of Dolce coffee to the last drop. Expert tasters gave Dolce a thumb up for its spicy, intense fruit mix of berries, syrupy wild honey and notes of bittersweet cocoa, all wrapped in a big bold body. It’s for the smoothness and robustness that Dolce is poised to stand out in a sea of other premium signature caffeinated blends. The fruitiness and sweetness allure of Dolce lies in the right and high percentage of naturally, hand-processed coffee in it. Nothing about Dolce blend is ordinary. Roastmasters at Moona leverage years of experience and profound mastery in the art of coffee blending and roasting to come up with an intricate, smooth and deeply flavourful decaf coffee like no other. First, they source the beans from suppliers who’ve long-standing track record of delivering only the finest products. After that, the beans are hand roasted with great care to keep in the delicious origin flavours. This way, this silky smooth blend features washed coffees, making it an all-natural, chemical-free Swiss-Water decaffeinated blend. While Dolce is ideal for espresso, cafetiere, and filter brews, other brewing methods are bound to produce a rich and smooth cup of coffee as well. 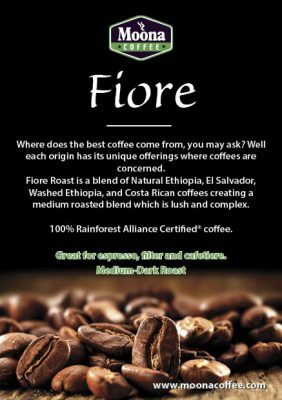 If you are environmentally conscious like most coffee drinkers, you will be glad to know that Moona’s Dolce is made with only Rainforest Alliance Certified beans. Buy a bag of Dolce today and realise a whole new flavour of decaf coffee you have been missing. Decaf Dolce is a 100% Rainforest Alliance Certified® coffee.